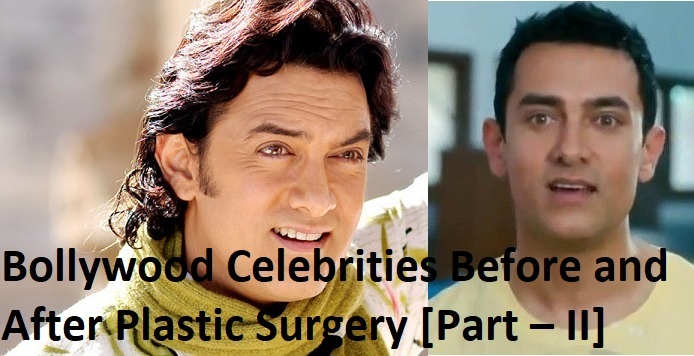 In the previous article Bollywood celebrities Before and After Plastic Surgery – I, we have discussed the effects of Plastic surgery and Botox on Bollywood female celebrities. In this article, we are discussing a few male actors of Bollywood who have done plastic/cosmetic surgery. Saif Ali Khan is looking hot and happening nowadays and it’s not the effect of Marriage. 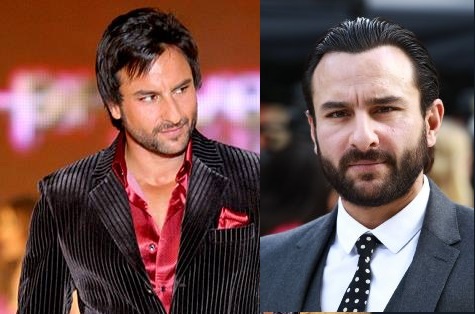 Saif Ali Khan’s plastic surgery work reflects botox that has ironed out his wrinkled, possible face lift and under the eye, blepharoplasty to remove saggy skin or under eye bag. Blepharoplasty is the plastic surgery operation for correcting defects, deformities, and disfigurations of the eyelids; and for aesthetically modifying the eye region of the face. Saif Ali Khan has undergone botox treatment to look youthful. Salman Khan fans, don’t feel too happy? If you take a close look at Salmans pictures ‘before’ and the latest pictures. He is not an exception to Cosmetic Surgery. He has corrected his hairline for better looks. And very recently, he underwent cosmetic surgery under his eyes. Shahid Kapoor gets a nose job done as well. He has been gone under Rhinoplasty treatment for his face. Rhinoplasty is a plastic surgery procedure for correcting and reconstructing the form, restoring the functions, and aesthetically enhancing the nose. Anil Kapoor is said to have injected his face with botox to remove wrinkles on his face. When asked to actors daughter-Sonam Kapoor, she denies that her father Anil Kapoor would have Botox. She said, “It’s not botox for dad. It’s all just genetic.”Karan Johar asked Anil Kapoor to name the worst case of Botox the actor knows of, and Anil Kapoor’s prompt answer was Shilpa Shetty. Shilpa was quick to react saying it was downright rude, especially coming from an actor who himself had fillers put in his cheeks.